Baby Driver is a new action thriller on wheels, although essentially different from blockbusters like Fast and Furious series. The story unfolds around a young driver trying to get away from a criminal life with the girl he loves. The production made little use of CGI to shot the stunts, and all the film is wrapped by the beat of an impressive selected soundtrack. English director Edgar Wright (Shaun of the Dead, Scott Pilgrim vs. the World) is in charge of this movie, that has got outstanding reviews. The cast is headed by Ansel Elgort, Lily James, Kevin Spacey and Jamie Foxx. 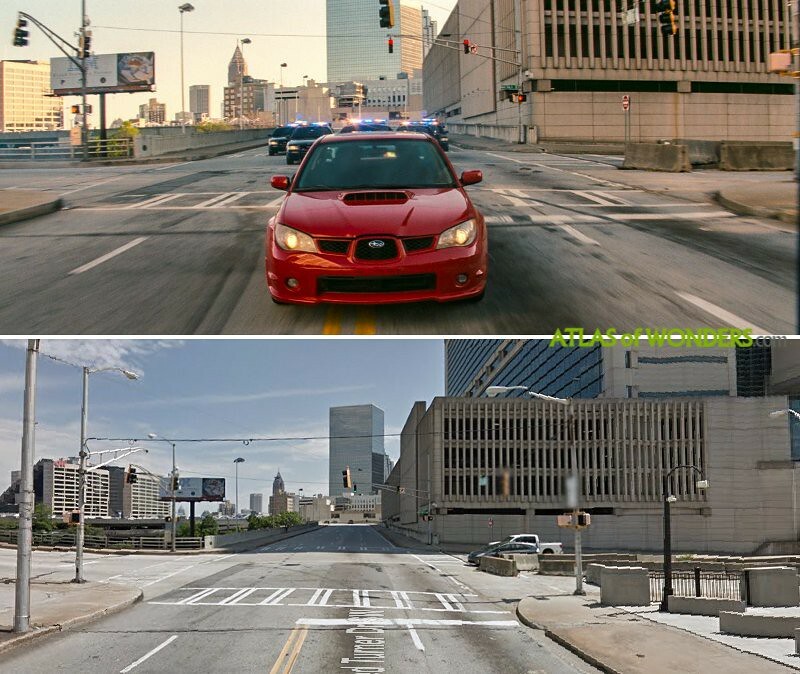 Baby Driver is set in Atlanta, and most of the movie was shot in the Downtown area. 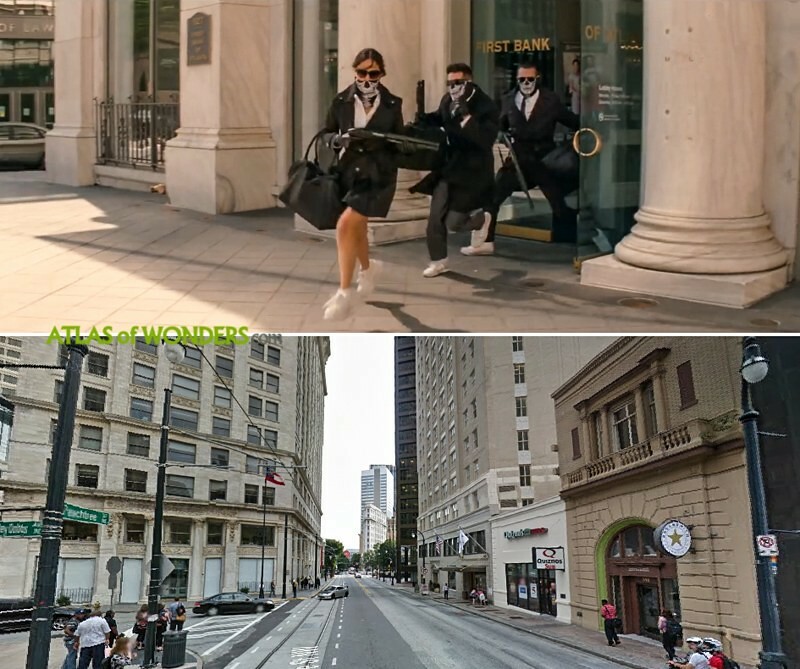 The Candler Building in a corner of Peachtree St served as a bank for the first scene, filmed near Margaret Mitchell Square. The production used the neglected Pullman Yard, a historic industrial complex in Kirkwood. This place has been recently acquired by a company called Atomic Entertainment to redeveloped it into studios and residences. The Dahlberg Hall from Georgia State University served as a post office. 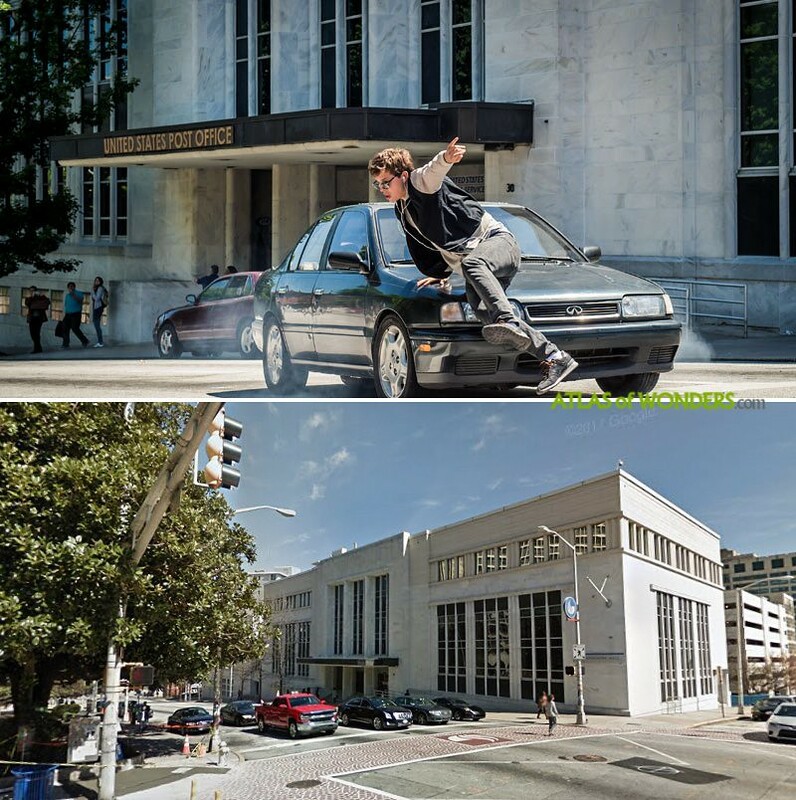 Also this building from GSU near Hurt Park was used for filming. 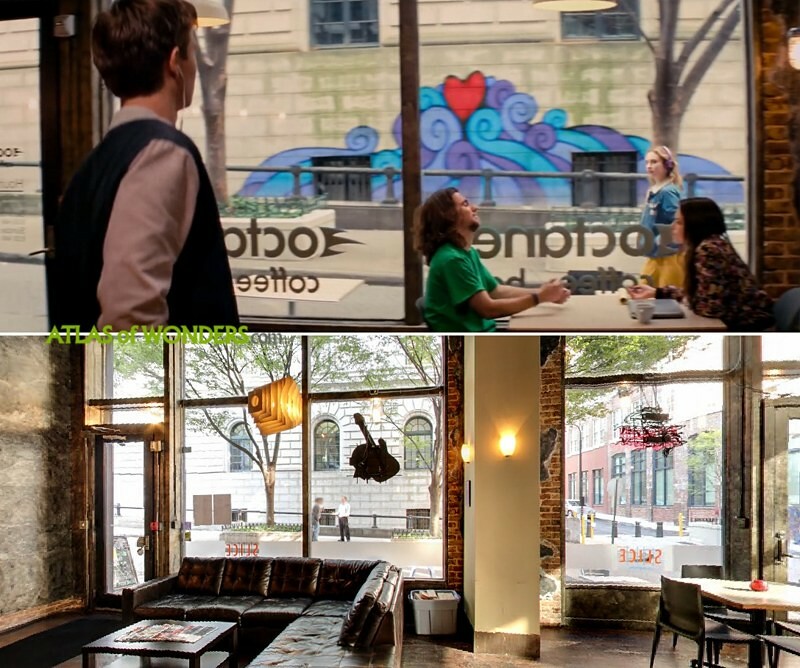 There are several Octane bars in Atlanta, but the one from Baby Driver is actually a Slice Pizza, located at Fairlie and Poplar. Also there is a scene at the Goodfellas Pizza & Wings at 615 Spring Street Northwest. However, it seems that Bo's Diner was entirely filmed in an old Denny's (now an empty place called Uncle Chucky's Diner), in Forest Park. 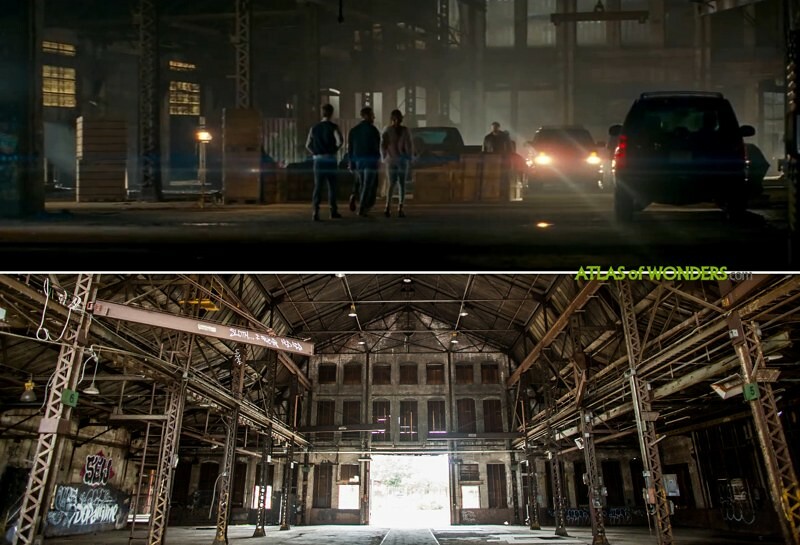 We discover this thanks to a comment below: If you plug 5116 GA-85 in Forest Park into Google Maps and move the time back to March 2016, you'll see an abandoned building magically become Bo's. 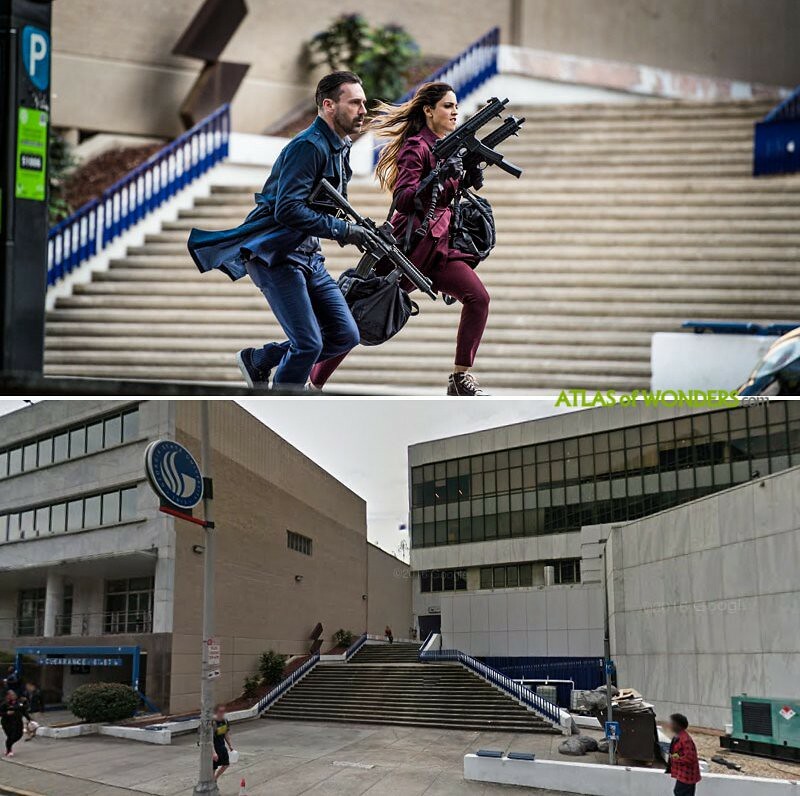 Can you help to improve this article about the filming locations of Baby Driver? To complete and correct this report, any feedback, info or images that you may have are more than welcome, thank you! Looking at Google Maps, there was a Diner at this location in 2012, but it's a McDo at least since 2014. Thanks anyway! Umm, a more specific location, please? Actually, Bo's diner is an old Denny's at 5116 GA-85 in Forest Park. 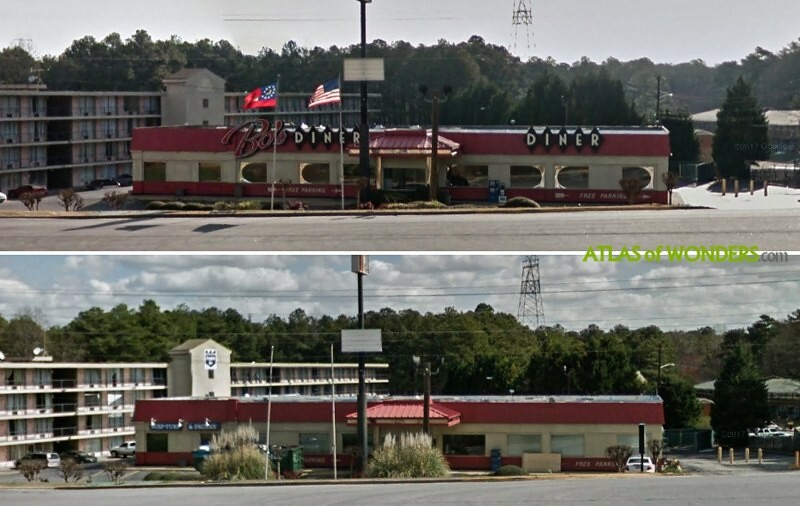 If you plug it into Google Maps and move the time back to March 2016 you'll see an abandoned building magically become Bo's. You're welcome. However, I believe the interior scenes were filmed there too. Take a look....the interior of the Majestic Diner is completely different......counter color, seat colors, lights. However, if you look at the movie scene, the windows are rounded at each end....then look at the google map image of Bo's...same rounded windows. I'm guessing it was all filmed there. 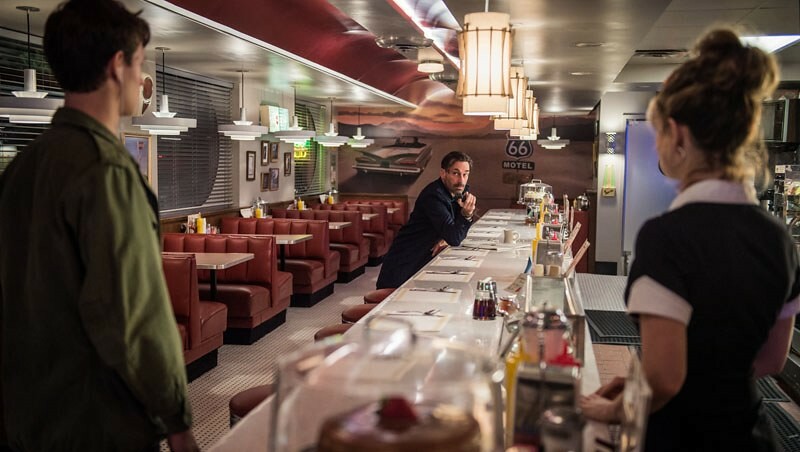 I think you are right, the Majestic has many elements that match the diner of the movie, but some other details are too different (windows, ceiling...). 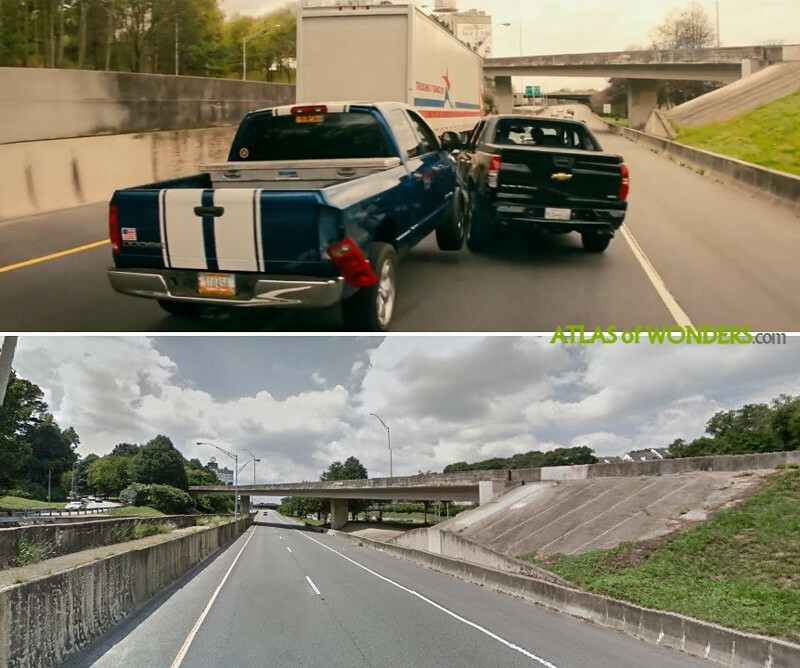 The car chase with a truck was not filmed near the Jackson Street bridge at the Freedom Parkway. 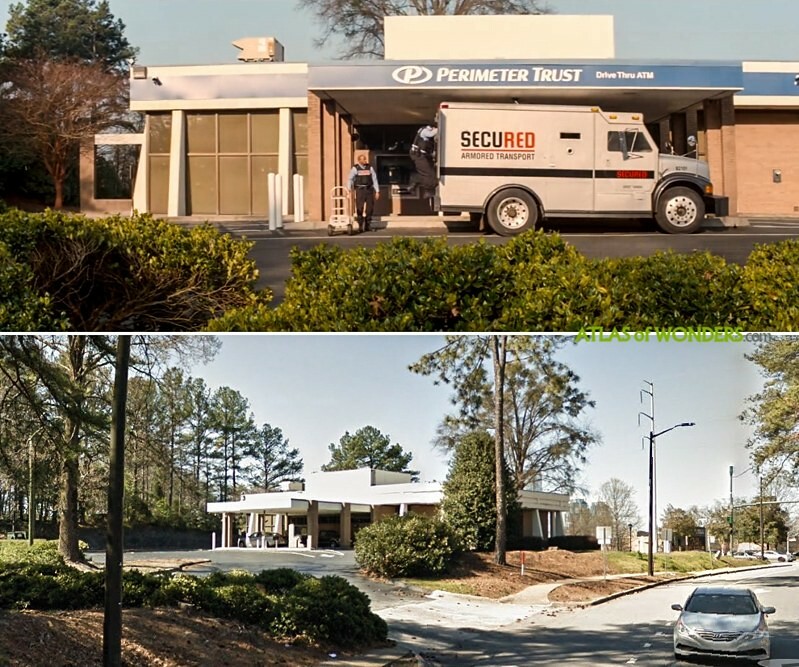 That scene was filmed on the Buford Hwy. Connector southbound (GA-13), just south of the MARTA-rail flyover bridge. Throw 33.800914, -84.387769 into Google Maps & then go to streetview in the direction of traffic...it will match the pic that you posted. Plus, the picture of the red Subaru ? That is the intersection of Ted Turner Drive & Martin Luther King Jr. Drive. Throw 33.753411, -84.394902 into Google Maps & then go to streetview...it will match the pic that you posted. Thanks a lot Mike, updated!